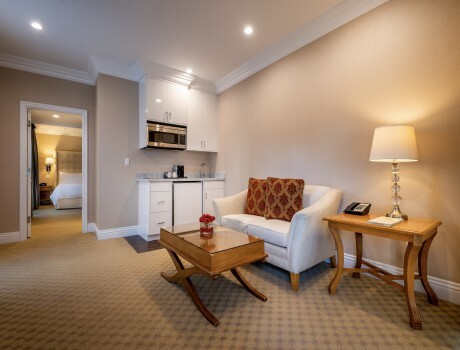 Junior, Executive, and Deluxe Suites are stair accessible only. 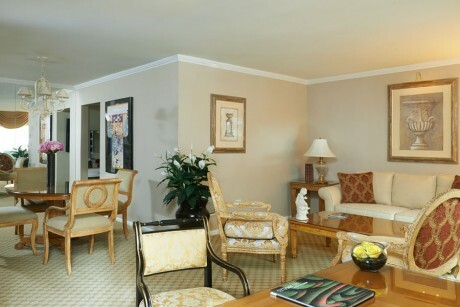 Spacious living room area, sitting area, dining area, and kitchenette. 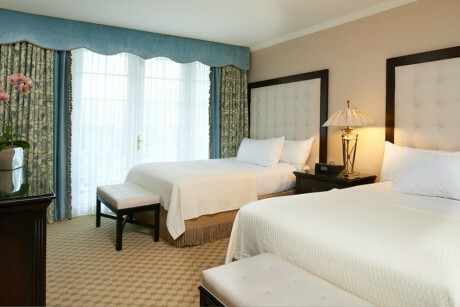 One queen size bed is located in the Bedroom. 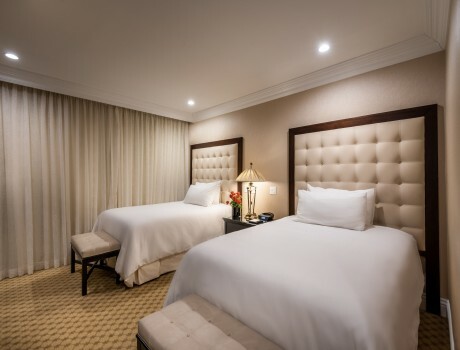 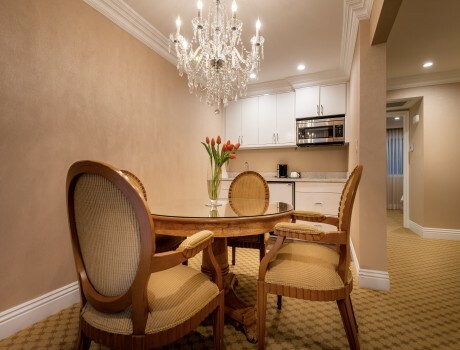 The following are One and Two-Bedroom Suites located adjacent to the lobby and fitness center. 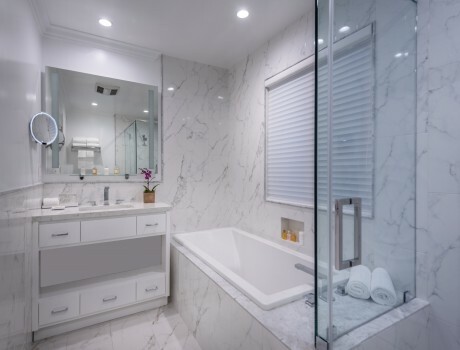 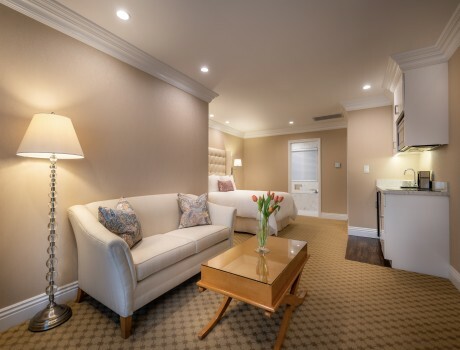 The two bedroom penthouse suite is exclusively located on a private floor with keyed access. 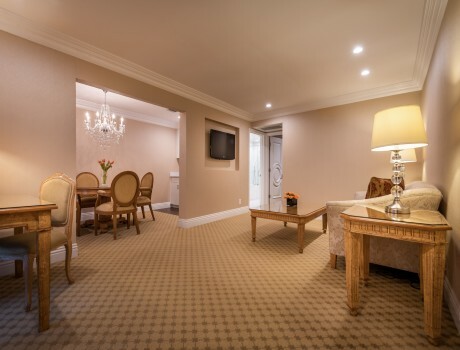 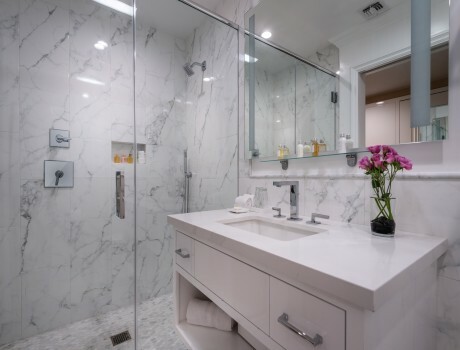 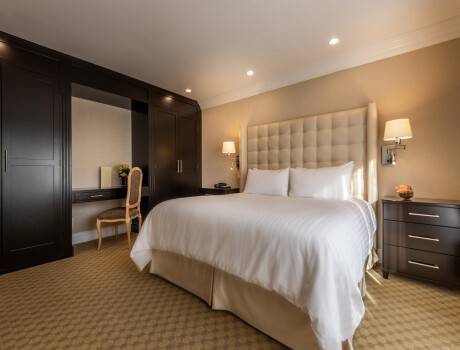 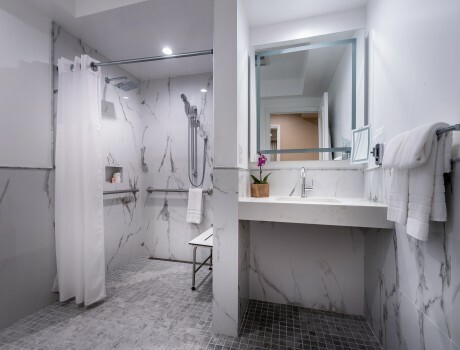 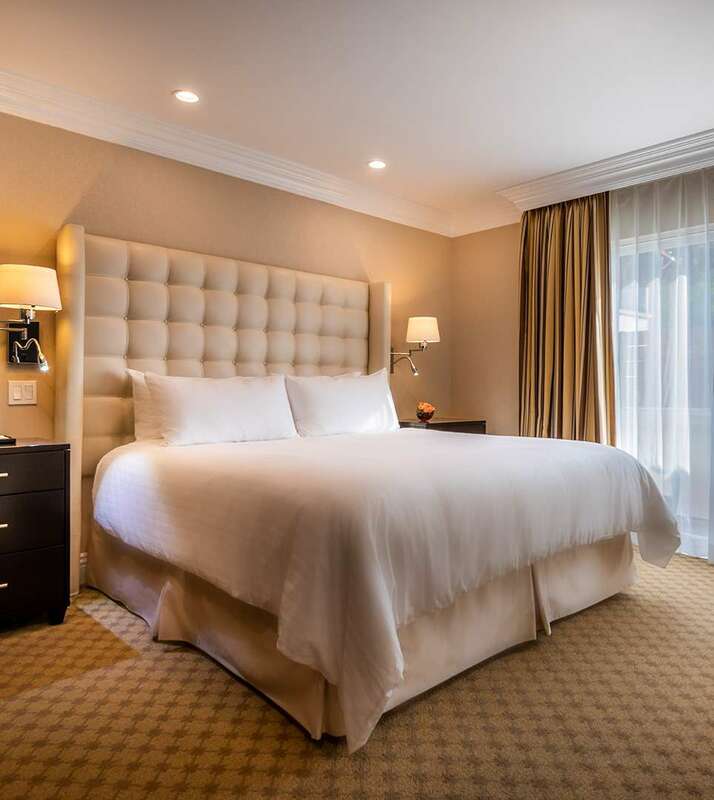 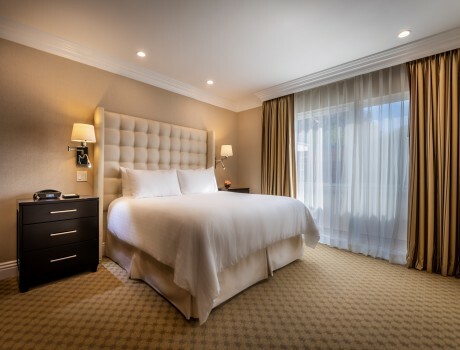 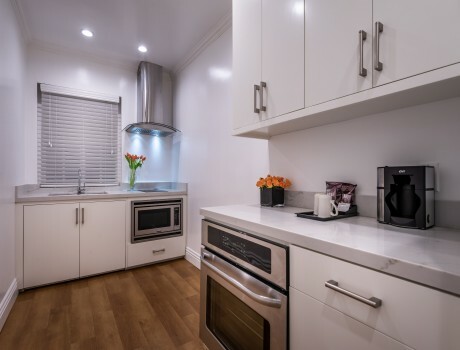 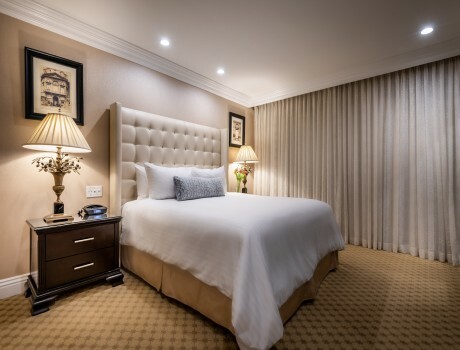 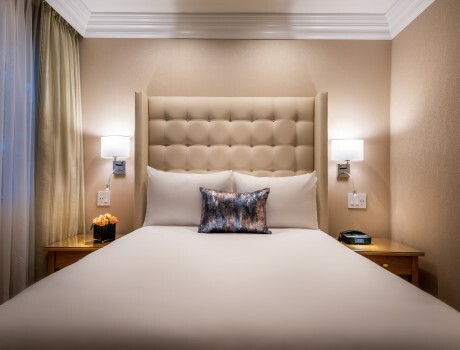 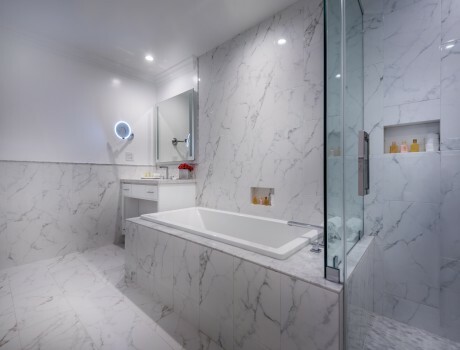 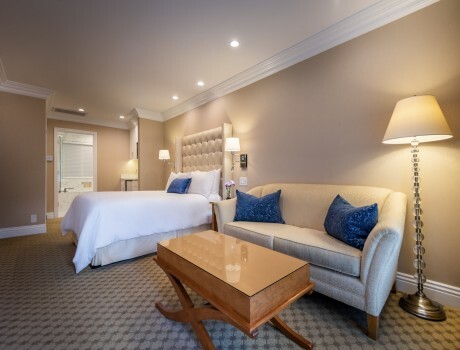 Our expansive penthouse offers a fully equipped kitchen, living room with dining area, and two large bedrooms; one with a king size bed, and another with two double beds. 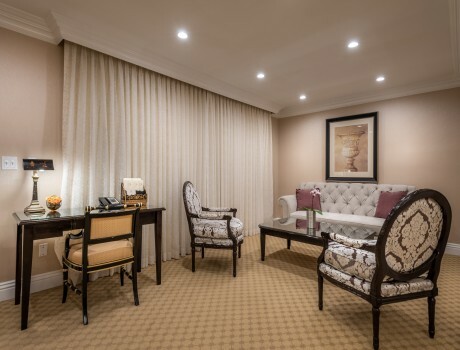 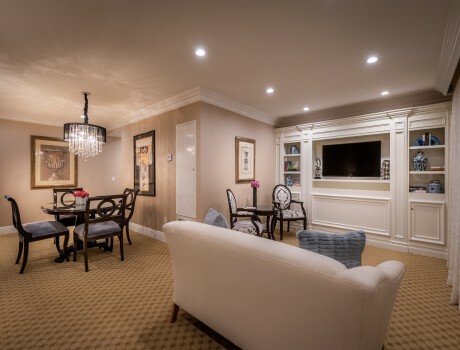 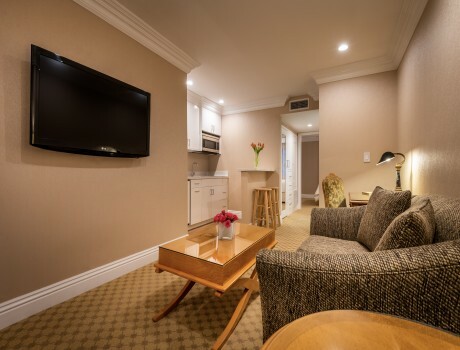 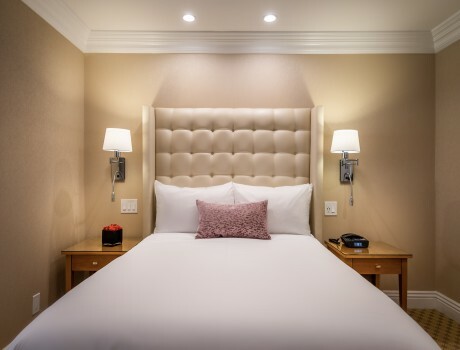 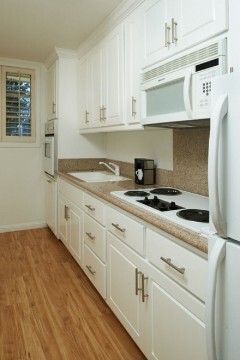 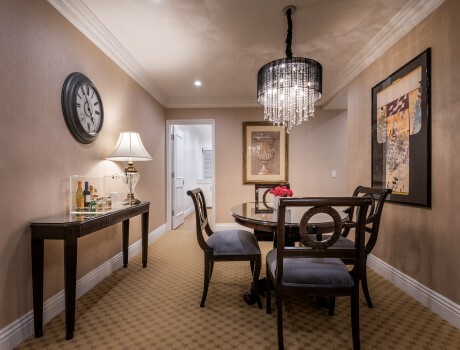 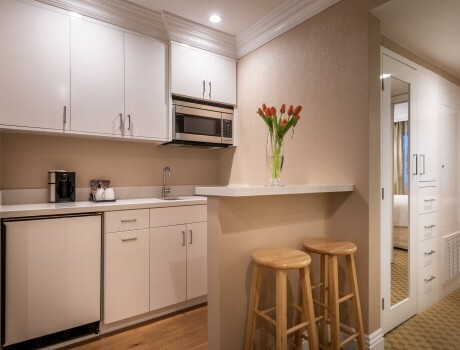 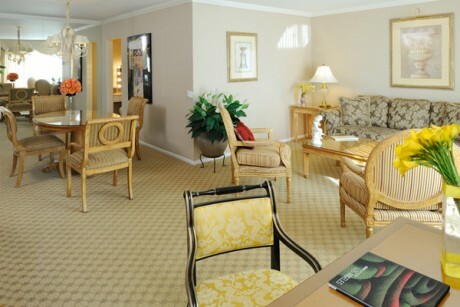 Luxurious accessible suite with a spacious living room, dining area, and a fully equipped kitchen. 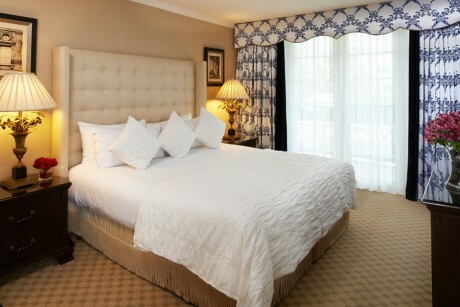 The large bedroom is available with two double beds and a roll-in shower.